Ez Doorknob Grips - Glow-in-the-Dark! 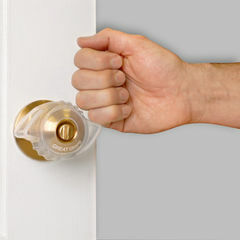 EZ Doorknob Grips makes it easy to turn round and awkward doorknobs. 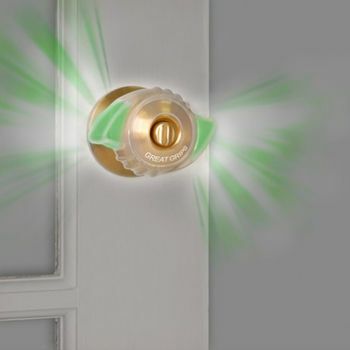 It’s great for people with arthritis, young children, and senior citizens who may have trouble gripping the door handle. Its comes in a pack of 2, and it's a great alternative to spending hundreds of dollars in door-lever replacements.